November 9, 2018 / Kristina / Comments Off on 319 Holiday Gift Fair! 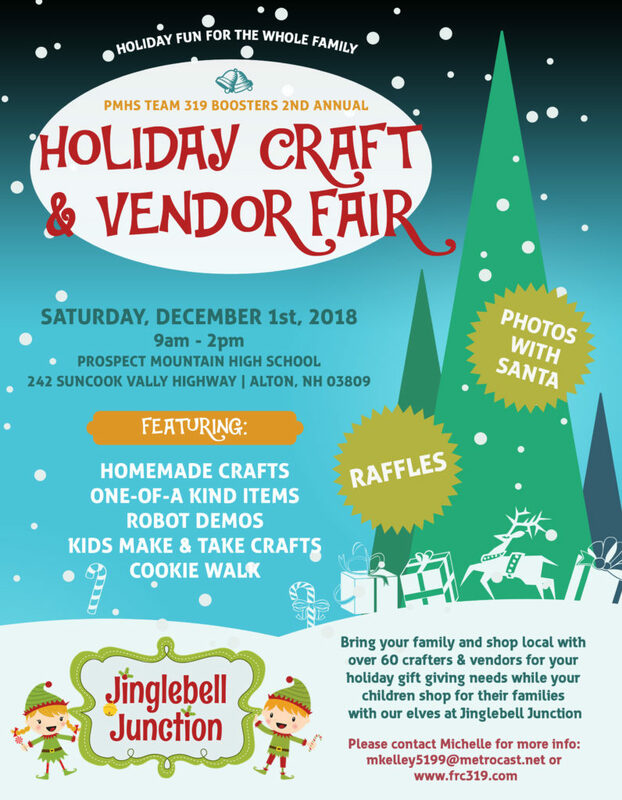 I will be here on December 1st, 9:00 – 2:00, with all 16 of my books (two are new)! Plus there will be lots of other crafters and vendors for a wide variety of gift ideas. And did you see there are going to be robot demos?! Yes, there are going to be robot demos. I’m actually quite excited! October 16, 2018 / Kristina / Comments Off on Girl’s Night Out! I will be at yet another winery selling my books. I’m sensing a trend here. For fans, the Gilmanton Winery and Vineyard is the former home of Grace Metallious, author of Peyton Place! 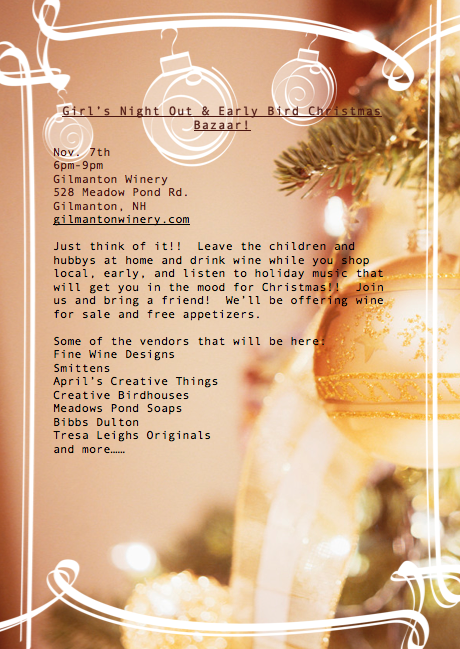 Come join us, and get your holiday shopping done all in one place! Not that kind of late! No, I’m not pregnant. 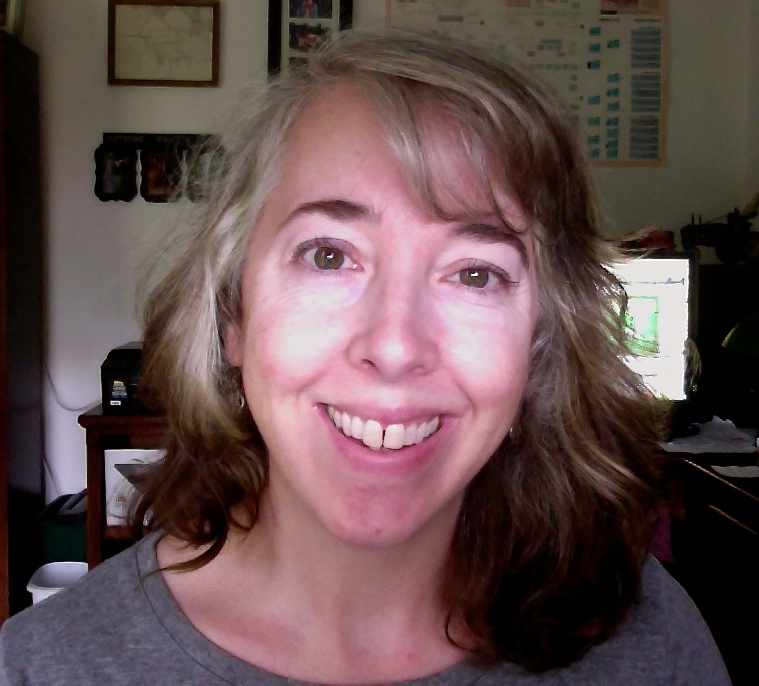 I missed a month of blogging about my gray transition. Sorry. I was going through a bout of hypothyroidism, which made me not want to leave my bed, and when I did, not want to do anything after that. I just did my yearly blood work and now understand why I felt increasingly draggy over the summer. So the doctor increased my meds, and I am feeling better. Enough to do a quick blog, anyway. I have to admit I thought my hair would be showing more gray by this point. But it’s still kind of getting covered up by the dyed hair, so that’s part of the problem. It does look quite a bit longer overall, though, so why am I not showing more? Alas, this is a long process, and now I get why people say growing out your gray can take two years from beginning to end, give or take. But I’m still keeping on, and the look is definitely growing on me. Ha, ha. I recently purchased some Clairol Shimmer Lights shampoo to help alleviate some of the yellowing effect. I tried the vinegar route, but didn’t think it helped much. Of course, I didn’t try very hard (I’ll call that a symptom of my hypothyroidism, and will try again later). I think the shampoo is working, though it’s rough on my dyed hair. I also think I could better tell how well it’s working when I no longer have any dyed hair, since I think the dyed hair affects how the white looks. We shall see. At any rate, here’s to another month on my journey to silver land. Yeeha!